Roisin Murphy has led one of British pop music's most singular dizzying and unpredictable careers. Helping to take Moloko to the absolute top of the charts, her first solo album - 2005's 'Ruby Blue' - found her abandoning this pop nous to work with experimental maverick Matthew Herbert. The release became one of her most loved by fans, and set the tone for a solo decade that has been dominated by strong-willed decisions, creative endeavour, and a continuing love affair with club culture. Recently establishing a writing partnership with producer Maurice Fulton, Roisin Murphy is currently at the mid-way point of a quartet of 12 inch releases, each giving another perspective on the entwined nature of pop songwriting and dance music. Portuguese New Yorker Braulio Amado constructs the wonderful artwork, with the series building up into eight funky ruminations on the power music holds in her life. 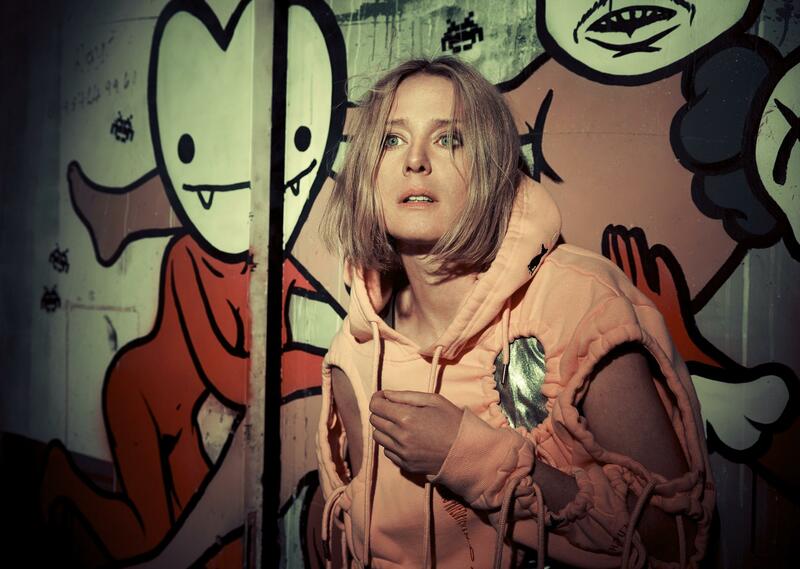 Clash caught up with Roisin Murphy to find out more. Why have you released this material as a series of 12 inches, rather than an album? Well, it didn’t feel like an album. Maurice… I mean, you can’t tell him what to do. At all. Which I knew when I got into this! But when I started to try and fiddle with it, he would take a certain amount of that but after a point he would say, look, I played it last week in the club and it worked so I’m not going to touch it. So I took him at his word. Not all the tracks are all full-on four to the floor like ‘Plaything’ or ‘Innocence’ but they are all of that world, and they need not to be messed with in the way that I would mess with an album. Possibly. And it just didn’t feel like an album – there’s nothing wrong with that, it’s a perfectly good way of doing it. It also gave me the opportunity to allow Braulio to produce eight different cover artworks, because he made a different cover on each side of the vinyl. We’ve got eight pieces of artwork from a genius. Which is also why I went to Vinyl Factory, as I knew they cut beautiful vinyl, and would make beautiful artwork. It just seemed like the right kind of way to be going about it. There’s a huge amount to be said for the 12 inch as an entity in its own right. With an album you wouldn’t have eight sides. You wouldn’t have eight beautiful pieces of art, which is what this is. And Maurice tweaked the material by playing it out? If it works in a club you can’t talk to him. End of story. If it works, then that’s it! And that’s what it is, it’s the nature of the music. And he’s right – of course he’s right! And I had to go with what this is. The material is coming out in four separate drops, was it also constructed in a spaced out, piecemeal fashion, or was it more concise, and intense? No, it was done over the period of about a year. In and out, up and down to Sheffield. Which was weird as well, because I’m kind of from Sheffield – or at least musically, I’m very much from Sheffield. It was weird to go up, get off the train, and then get the taxi through Sheffield, through my history. My musical history. Not that I was thinking about it but subconsciously that was a very weird thing, and to do it with this guy who has nothing to do with Sheffield… it was strange. Some of the videos - ‘Plaything’ for example – have that nostalgic feel. The videos were a different thing. Starting with ‘All My Dreams’ what I did was take this idea that this is about club culture, the music itself is about it. Even when it’s not super fast or super full-on it’s still about that, the texture of it, the authentic part of it. It’s all there in Maurice’s production, no matter what he’s doing. I took that to the video side of it, and directed them myself. When I started I began by looking at old VHS footage. Funnily enough the first one - ‘All My Dreams’ - is based on this Shelley’s rave footage, which is the first place that I ever had a rave…. Which is a euphemism! I went there and it was an incredible eye-opener. Not that my eyes hadn’t been opened already in Manchester, but this is super young, naive, and in the whole development of the scene as we know it now. That’s what the first video is based on, and then the video for ‘Plaything’ is based actually on a Grooverider rave. We based it on that because on the stage are girls with an MC behind them, and a DJ. They’re not really professional dancers but they’re trying and it becomes a little darker a few years later. It becomes a bit more about commerce, but in a very rudimentary form. If you want to be the kind of artist who is making music and making visuals then it’s good to have an anchor, and the anchor of this is the very true, very authentic story of my life as a clubber. Shelley’s wasn’t a rave, really, it was in a club – it was a disco club that had been re-appropriated for a new vibe. I went to a couple of massive raves, and enjoyed it, but didn’t enjoy it as much as clubs, to be honest. Did you take full songs up to Sheffield with you, or did you work from the ground up together in the studio? I’m very focussed in the studio… since I left Moloko, actually! In Moloko I spent a lot of time asleep on the studio in some dark studio. It was our space, we could do what we liked! But from that day onwards – since I started working with Matthew Herbert – I’ve been a lot more focussed. There aren’t many times I can think of that I went into a studio and a day later didn’t come out with a song or even two. I use my time economically. I’m quite focussed. I write all the lyrics, the melodies, and Maurice wasn’t about to let me write his music! Did the two of you spark in the studio, then? It wasn’t really like that. It’s hard to explain. Maurice produces from his stomach, and I’d met my match in that sense because, also, I am very, very instinctive too. We didn’t really talk to each other about what we were doing, we just did it. I’ve always known that me and Maurice would be a great combination – I brought a record of his to EMI and said, I need to work with him. That Larry Levan, real, authentic sound. People always want me to make dance music but I don’t want to make anything that’s not deep or soulful. He was always my first choice, in terms of making pure dance music. I’ve wanted to work with him for a very long time. That interest in club culture is a recurring facet in your work, do you feel that the space where it crosses over with pop is a particularly inspiring realm? Pop music is separate to club music, in a way. I remember when I worked with Matthew Herbert I felt very strongly about this track, but he didn’t like it. And I argued with him until I cried that we should keep it! That record is not at all a club record, it’s not even trying to be, but it’s dance music. It’s one of the strangest records I’ve made, in a way, but that track - ‘Ramalama (Bang Bang)’ - was taken up by this television programme, and it features a choreographed routine to the song which became viral. It became huge! Cheerleaders do that routine. It’s very much dance music without being club music… and it wasn’t made to dance to, either. It’s hard to put perspective on it. Sometimes when you put a tag on something – like ‘pop’ - it loses a bit of its sparkle. I heard someone say the other day that pop is popular music. And my answer to that is that popularity is a situation you find yourself in, it’s not a genre. The situation of being popular can’t describe a genre. Pop is built on three and a half minute long songs, with choruses that don’t do your head in completely. That’s pop. Even though the etymology of the word comes from ‘popular’ I’m not sure it describes the genre correctly. The situation of being popular depends on a great deal of other things, separate to what the piece of music is. Having completed this project do you now feel in a good place to go on and record an album? Lots of things hold my attention. And I’ve got to think laterally – left, right, and centre – to think it all out. I feel a little like a lost child in this industry, with no mum and dad there when I come home from school. It’s been really, really hard on lots of levels, but I am really, really blessed. I’ve won in so many ways, and I continue to win in so many ways but I’ve started an album which could be really terrific, as far as I’m concerned, but unless I get my situation right around me, directly around me... I don’t want to do it! And that’s a fact. I’ve been directing as well, so I’d like to make a film about my youth, and a film about Ireland, which would be a separate thing. I think maybe what it is, is that I haven’t taken on enough. I don’t want to be lying on my dying death bed thinking: I should have done it! I want to do it right, be ballsy, be authentic, and take control.